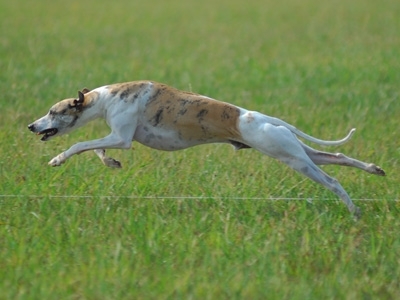 Whippets are a versatile breed that excel in Lure Coursing, Racing, the Show Ring and Therapy work. 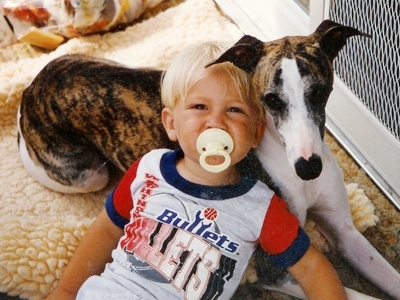 In 1994 a dear friend brought a skinny little puppy to work one day. 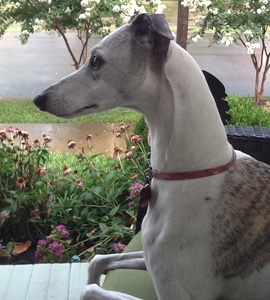 She had rescued 2 AKC registered Whippets from a back yard breeder and needed to find one a home. The sweet skinny pupppy had these large soulful eyes that melted my heart. Being the dog lover I am, Jazzbo came home to live with us. 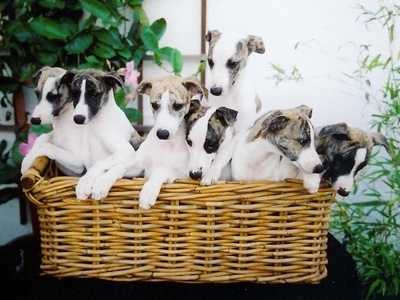 One day my friend said hey lets go to a dog show, we probably would not win anything but it will be fun. I was so proud to watch my 6 month old puppy strut around the ring. The Judge also loved him. That day he went on to win Best Of Breed over some nice Champions!!! Long story short the show bug bit and Jazzbo went on to became Group winning, DC Warburton Jazz Festival, FCH, CR, DPC,TRP. 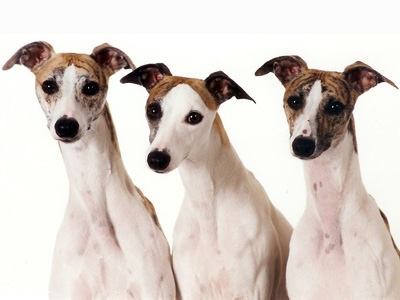 My Whippet pack, friends and their dogs grew through the years of showing and field events. 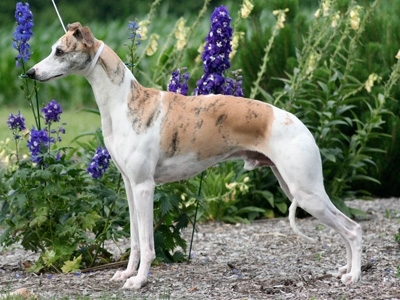 My friends and I raised a myriad of Champion Whippets over the years including Logan the son of Jazzbo and Nellie who went on to show at the Westminster Kennel Club show in Madison Square Garden. 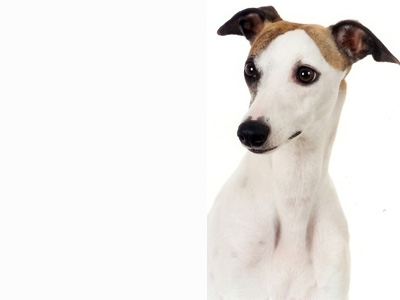 We currently have 3 whippets Nellie, Sophie Sue and Zoomie that reside with us and our Shilohs.